Description: Echo Park Collection Merry & Bright Paper 12 in. x 12 in. 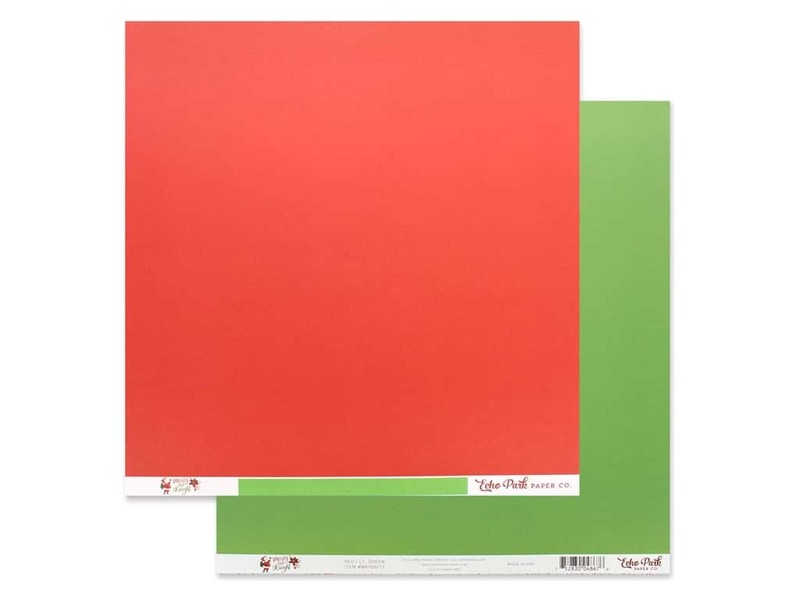 Red/Light Green- Double sided cardstock. One side is red, the reverse side is light green. See more Echo Park Merry & Bright Collection.